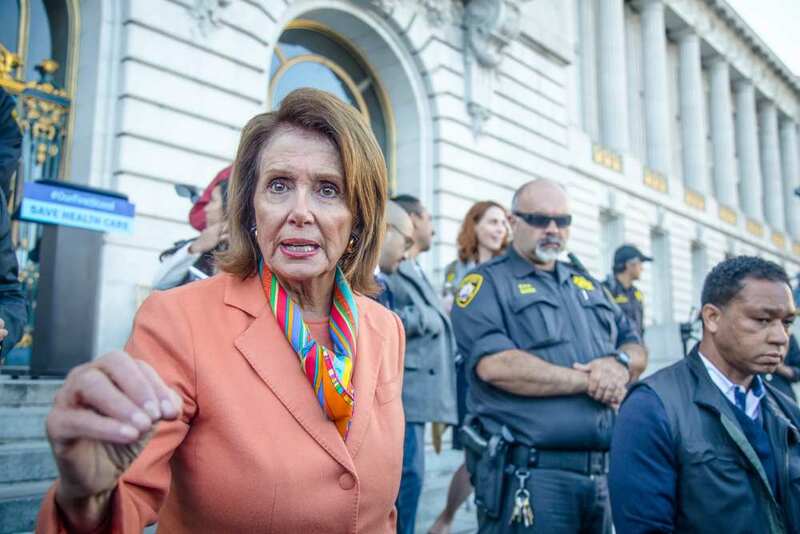 House Speaker Nancy Pelosi, D-Calif., said on Sunday that she consulted with Paul Irving, the House Sergeant-at-arms and requested that a security assessment be performed for Rep. Ilhan Omar, D-Minn, and her family. Speaker Pelosi was in London on Sunday with a congressional delegation to meet with anti-semite Jeremy Corbin, who leads Britain’s Labour party. “President Trump must take down his disrespectful and dangerous video,” Pelosi added, demanding that he remove the video from his Twitter. “WE WILL NEVER FORGET!” Mr. Trump said in the tweet with the video, which showed remarks made last month at a Council for American-Islamic Relations event by Rep. Omar where she de, followed by video footage from the Sept. 11 terror attacks. “CAIR was founded after 9/11 because they recognized that some people did something and that all of us were starting to lose access to our civil liberties,” Rep. Omar said last month.